With the advent of internet, people are finding more ways to spend online rather than watching the same shows and channel on TV. Internet gives us access to watch more movies online (old & new), watch videos on YouTube, play games and more. 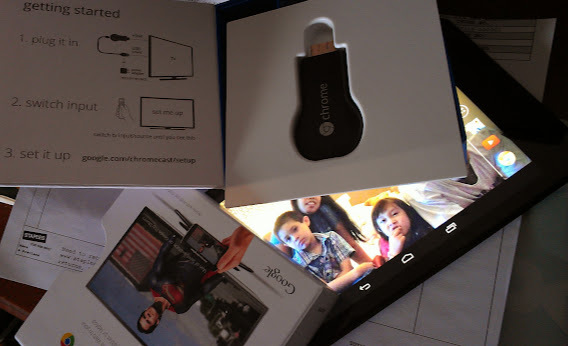 The virtual world offers ton of fun stuff, more movie or video to choose from and it won't be complete if it's not shared with friends and, so take that online movie viewing and video streaming to a big screen with the use of this cool little gadget device called Chromecast. ~ Connect it to WiFi network. To set up follow the simple steps you see on the screen. ~ Send videos and more from your smartphone, tablet or laptop to your TV. 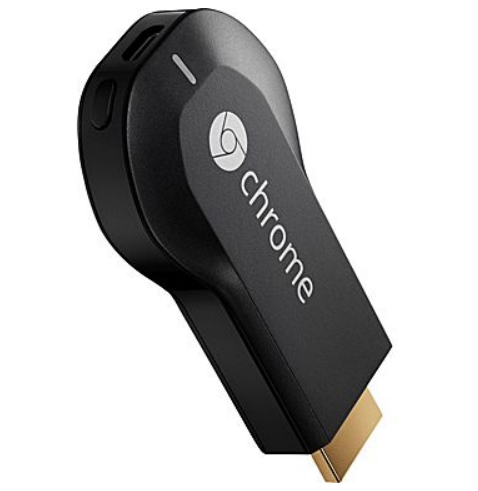 With Google Chromecast you can enjoy your favorite online content, videos, music and more on a bigger and clearer screen at the convenience of your own comfortable couch. No more huddling around small screens and tiny speakers. Sit Back, chilax & watch together. So, what are you waiting for? My dad was recently telling me about something like this. It may have even been Chromecast. It sounds like an excellent way to connect to and enjoy the media you love where you want to enjoy it. This is so cool! I didn't know they made anything like this...so convenient. This is such a good idea. My son had a bazillion movies with him, when he and his wife came to visit at Christmas, but it was too hard for everyone to congregate around his laptop and see them, for it to be useful. This Looks AWESOME I Must Try!! I need one of these! Great giveaway! entering now! this looks awesome and so useful !! We could surely use one of this. We watch way too many movies online and would love if we can hook it up on TV for better viewing. So this would be very useful. I love that it Supports Netflix, YouTube, HBO GO, Hulu Plus, Pandora, and Google Play Movies and Music, as well as anything on the web using Chrome browser!! I love that it has an easy setting and works with ios devices !! love it a lot ! Great review and device that can steam you tube videos even when the mobile is receiving calls ! 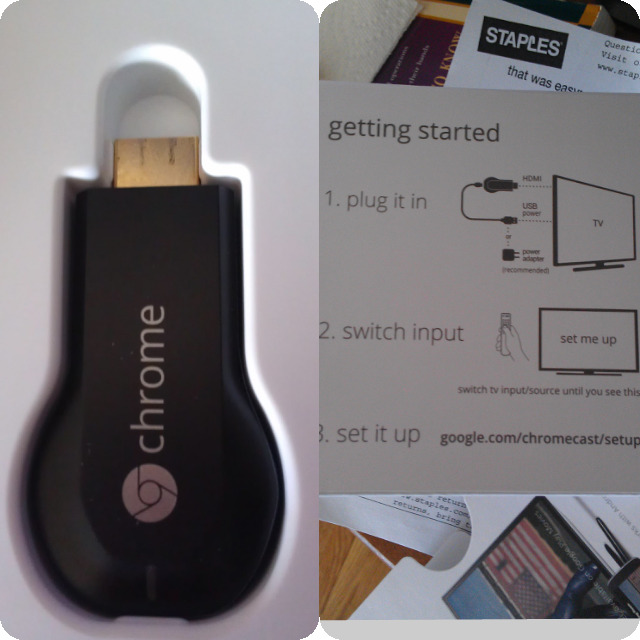 I first hear about chromecast from a friend of mine but I love the review that you did and I understand how chromecast works !really great device ! What a helpful review !! hope I can win to try the device !! Looks so awesome !! 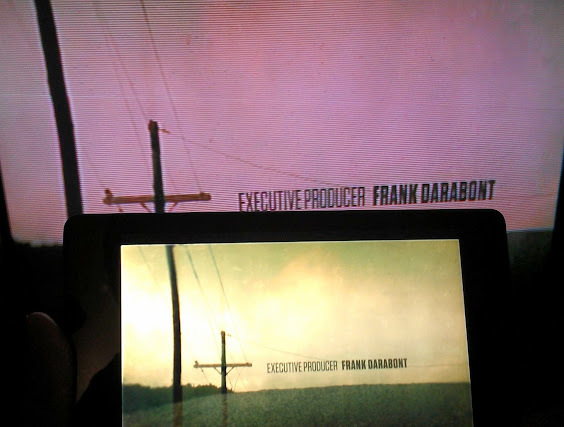 Love that I can stream netflix to tv !! I love that it is so simple! While I am a techno geek, I am not a genius. Sometimes devices seem so complicated, I just skip them over, and I think alot of the 'normal' world is the same way. This device is simple, and desirable!